We had a great marriage workshop at church tonight! 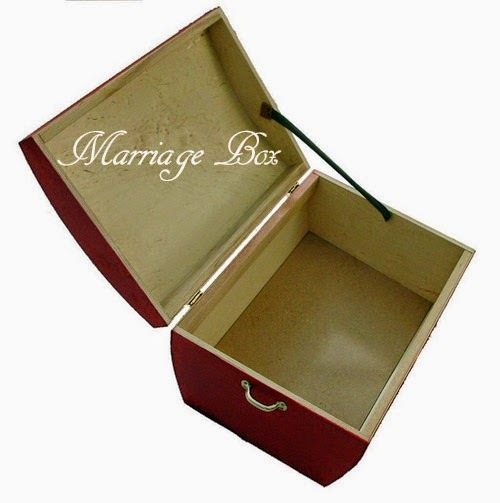 My husband used an illustration called "The Marriage Box" that really struck me. I don't want to forget it, so I thought I'd post it up & share it. Most people get married believing a myth; that marriage is a beautiful box full of all the things they have longed for: companionship, romance, sexual fulfillment, intimacy, friendship, laughter, financial security.The truth is that marriage, at the start, is an empty box. You must put some things into it before you can take anything out of it. There is no love in marriage; love is in people, and people put it into their marriage. There is no romance in marriage; people have to put it into their relationship. A couple must discern what things work to improve their relationship and form the habits of communicating, giving, sacrificing, sharing, loving, touching, serving, and praising. In other words, keeping the box full. If you take out more than you put in, the box will always be empty!